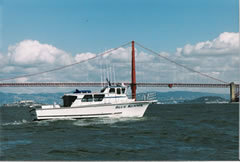 The Blue Runner offers bare bones to full service charters for small groups aboard a beautiful 43’ US Coast Guard certified vessel for all occasions on the San Francisco Bay. 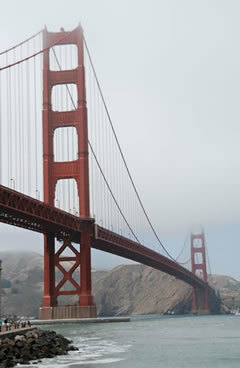 Photo opportunities abound while touring the scenic San Francisco Bay. 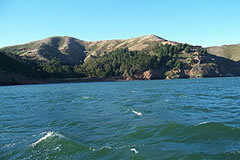 Cruise departs from Sausalito (abundant parking). 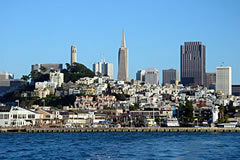 Please call 415-458-8700 to book a charter. Visit our companion site, Marin Memorial Services to find out more details about our ash scattering burials at sea and memorial services. For more information, call us at 415-458-8700.